Former Nissan Chairman Carlos Ghosn claimed innocence in his first public appearance since his November arrest, telling a Tokyo court on Tuesday that he had been falsely accused of financial misconduct. Ghosn, credited to have rescued Nissan Motor from near-bankruptcy two decades ago, was brought into the courtroom in handcuffs and a rope around his waist. He was wearing a navy suit and white shirt without a tie, and looked thinner compared to what he did before his arrest, with his dark hair showing gray roots. 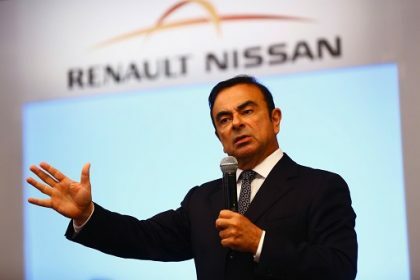 “I have been wrongly accused and unfairly detained based on meritless and unsubstantiated accusations,” Ghosn informed the Tokyo District Court in a clear voice, reading from a prepared statement. “I believe strongly that in all of my efforts on behalf of the company, I have acted honorably, legally and with the knowledge and approval of the appropriate executives inside the company,” he stated. From early morning, a crowd of journalists and television crews gathered outside the courthouse, and some 1,122 people lined up for 14 court seats assigned by lottery, showing strong interest in the case. News of the hearing was given top billing on public broadcaster NHK whole day. The court hearing, requested by Ghosn’s lawyers, was held to describe the factors for his prolonged detention since his November 19 arrest rather than to debate merits of the case. Judge Yuichi Tada stated the detention was due to flight risk and the possibility he could conceal proof. But Ghosn used the opportunity to reject accusations against him, kicking off what is expected to be a counter-attack against the allegations.